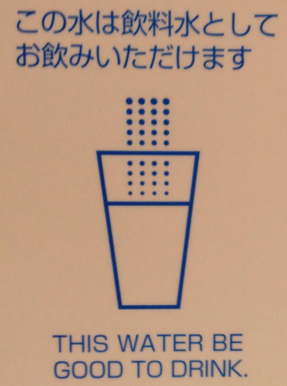 5.8.1 看板編: ホテルの客室内表示／飲用水 - dutcheez’s Fun with English! This water be good to drink. This is a pen. という文章はあまりにも有名では?